So I have to admit that I was dubious about whether I could pull off a blanket poncho but then I bought one on impulse (“oooh, it’s navy and white and I’ve never tried one of these before – let’s give it a go) after which I missed the deadline to return it, meaning that I was forced to wear it. And guess what? I really liked it. Luckily. In fairness I did try it on before I bought it but it was a very quick try on. Then as the summer holidays approached a whole host of work came in and it sat, mildly neglected for a while. I wore it in Guernsey with shorts and then today, given that the temperature had dropped by about 10 degrees, an extra layer was needed. So out it came for its first official outing. Having had a little play with it my conclusion is that, even if you’re fairly petite it can work without swamping. Equally if you’re slightly curvier it’s great for skimming without clinging. I’m also going to belt it when I have a chance and see how that works too. As with anything with some volume to it, the rest of the outfit needs to be quite fitted so that it looks as though you’re wearing an outfit plus a poncho, rather than….a tent. And, as in most cases, a slight heel does help. It just helps to lengthen those legs. 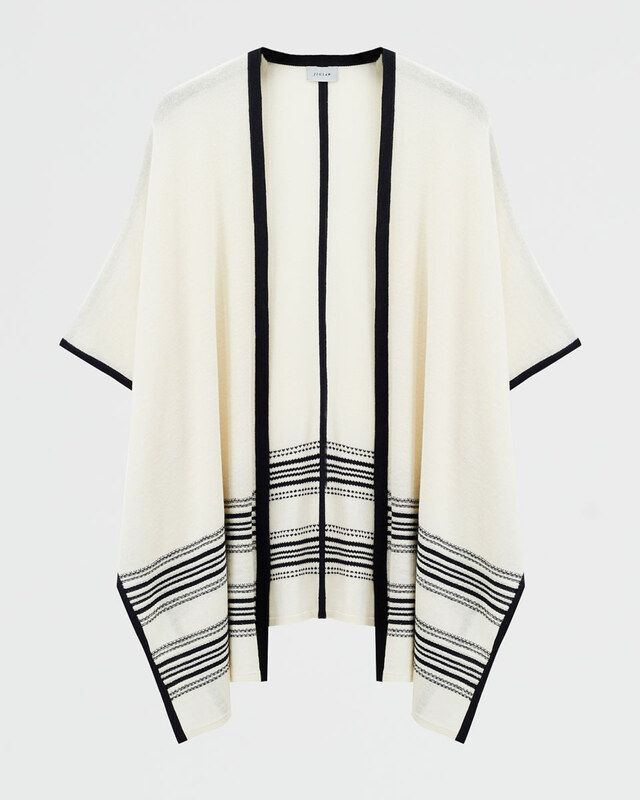 Here’s the Jigsaw summer blanket poncho (£38 down from £129) in cream. It’s no longer available in navy on line but I love this cream option too – and it’s a great price now. 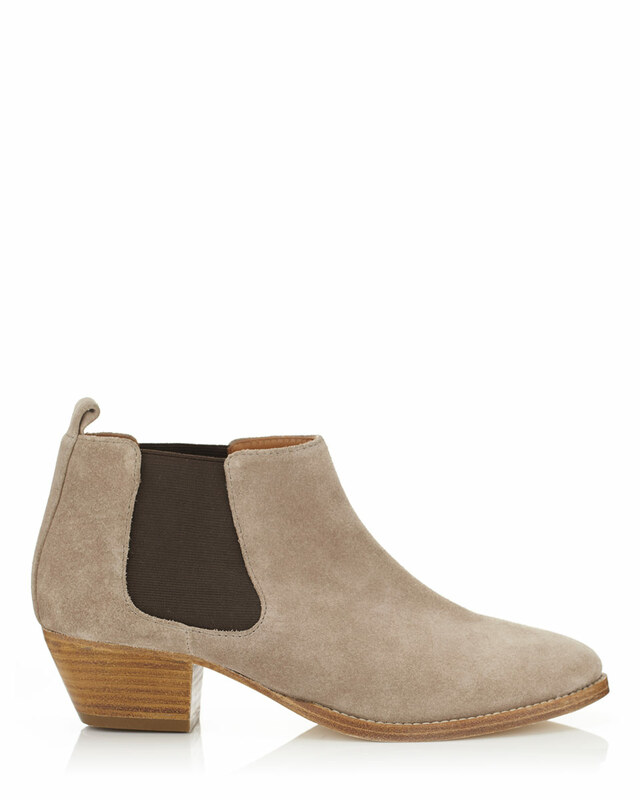 And these are the Jigsaw ankle boots that I’m wearing (reduced to £69 from £139). I’ve worn them so much already that they definitely qualify as a necessary purchase. Yep, most definitely. Wishing you all a lovely (and dry) weekend – whether you’re in a poncho. Or a tent. Next Post Are you ribbing me? Today we’re looking at one of the biggest trends for next season….